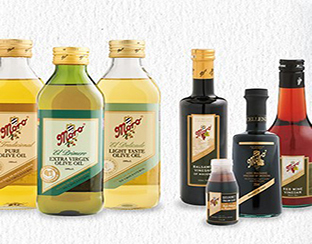 One of the most recognised quality Olive ranges available in Queensland and New South Wales. Conga Foods range incorporates the ‘Valsapori’ Stuffed Olives, Grilled/Marinated Vegetables, the ‘Sacla’ retail jars of pesto and tapanades, olive oils, Italian water, traditional gourmet sardines and lots more. If you are wanting to set up or expand your Gourmet Mediterranean offer in your Gourmet department take a good look at Conga Foods. Conga supply pasta from Pastificio Le Mantovanelle. It was founded in Mantova, Italy in 1951. Le Mantovanelle produce a wide range of premium dried egg pasta, and utilise carefully selected and scrupulously checked raw materials that are processed according to the most modern and updated production and packaging technologies. Conga have a popular range of Val Verde’s tinned vegetables including beans and tomatoes.